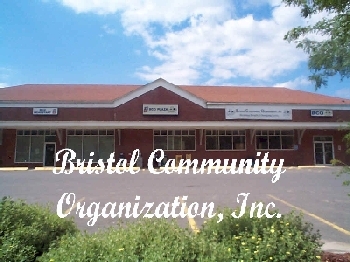 BCO is a private nonprofit Community Action Agency serving the young, the elderly, persons with disabilities, low-income individuals and families in the Greater Bristol Area. A variety of programs are administered by the Social Service Staff. Services include counseling, advocacy, and support services. Information and referral services include childcare resources, health, food, furniture, clothing, employment assistance, shelter assistance, money management, and State DSS services. Services to adults eligible for DSS Medical and SNAP (Food Stamps) programs include: A comprehensive needs assessment and referral to appropriate resources, housing or shelter information, DSS program application assistance, referral to employment and training resources, food or clothing vouchers, transportation via BCO's Dial-a-Ride, and referrals to community support services. EFPP offers assessment, mediation, and financial assistance for low income Connecticut residents experiencing a non-recurring, unexpected hardship who have past due rent or mortgage payments and who have received a notice to quit or notice of foreclosure. The amount of assistance is determined on a case by case basis; however, the maximum allowable grant is $1200. The amount of arrearage is one determinant of the amount of the grant; it is possible that people with very high arrearages may not be able to be helped. This is NOT an entitlement program. Eligibility: Resident of Bristol, Burlington, Farmington, Plainville, or Plymouth/Terryville experiencing a non-recurring, unexpected, documentable hardship; For financial assistance applicant must have received a notice to quit; People who are behind in rent but do not yet have a notice to quit are eligible for mediation services only; Must have income; Income must be at or below 60% of the state median income; Monthly rent/mortgage cannot exceed 60% of gross monthly income; Must be able to pay the next month's rent; Other restrictions may apply.